By Sia in Internet. Updated on August 15, 2017 . To make this process easier, Microsoft Regional Director and MVP for Developer Security Troy Hunt has used his own spare time to develop a website called "Have I Been Pwned?" 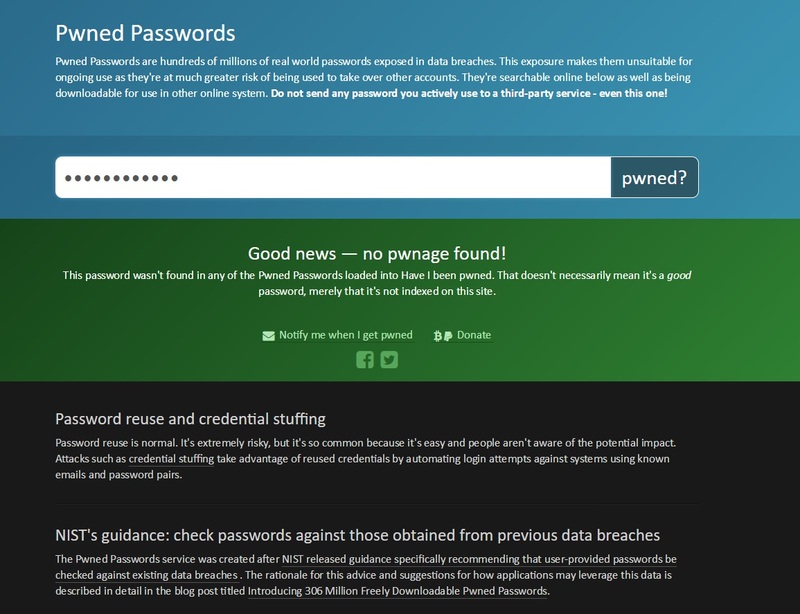 that can help users find out if their login credentials are at risk. The way this website work is relatively straightforward: the user inputs either their email address and password into the provided dialog box and click on the "pwned?" button. After a few seconds, the website would spit out information regarding the safety of their login credentials. While the list is reliable, Hunt has mentioned that the website is by no means perfect, and that users should still be vigilant about their accountÃ¢ÂÂs security. Most importantly of all, Hunt explicitly reminds those who are looking to use the website to never input a password that they are currently using for their accounts. While the website does not log passwords, Hunt believes that inputting a password into any random third-party service isnÃ¢ÂÂt exactly a wise move.